Ragi kudumulu is an old classic from Andhra Pradesh, India. Dumplings like kudumulu are prepared with ragi flour and steam-cooked in flavorful kura (curry). The main ingredient of kura in which ragi kudumulu are steamed changes with the seasons. Sometimes the kura is prepared with vegetables, sometimes with meat or a combination. Depends on the cook’s mood and the market prices. Popular in agricultural community, this protein powerhouse is a build or nourish the muscle-on-the-bone kind of one-pot meal. For Mathyâ€™s Jihva, I have been thinking about a new recipe using garlic-ghee. Then I thought, why not incorporate garlic-ghee into ragi dough and make kudumulu with it. When people say developing new things or techniques is like constantly rediscovering the wheel, itâ€™s very true, indeed. Years of nutritional strategies and accumulated wisdom among cooks throughout the world before us are right to benefit us all through good times and hard times. Ragi kudumulu is one such nutritional strategy, and here it is in a new avatar. An acquired taste, but a delight to an adventurous palate. Give it a try. Recipe happens in three steps. 1. Prepare Ragi dough for Kudumulu. 2. Prepare kura (curry or kurma) for Kudumulu. 3. Prepare kudumulu and steam-cook. Take one-cup ragi flour in a bowl. Add a tablespoon of garlic-ghee puree and quarter teaspoon salt. Stir in a tablespoon of garlic infused ghee. Sprinkling few tablespoons of hot water, make soft dough. Cover and keep it aside for about 15 to 30 minutes. The dough firms up on resting. While the ragi dough is resting, prepare kura for ragi kudumulu. It can be with either vegetables, (traditional choice: Indian broad beans, silk squash and ridge gourd), or meat (chicken or mutton). For my meal today, I have prepared Ridge gourd curry (beerakaya kura) for ragi kudumulu. Heat a tablespoon of garlic infused ghee in a wide, deep-bottomed skillet. Add and toast a pinch each - cumin and mustard seeds. When seeds start to pop, add the onion. SautÃ© to soft. Then tomatoes. Add about a cup of water and cook the tomatoes to mush on high heat. For kura masala: Two tablespoons of grated coconut, 4 green chillies and an inch of peeled ginger, two cloves, one inch cinnamon, a teaspoon each - coriander seeds and cumin. Take them all in a mixer. Add a pinch of salt. Blend to fine consistency. Tomatoes will be cooked to soft by now. Mush them by pressing with a sturdy spoon. Add the ridge gourd pieces and the masala paste to the skillet. Also half teaspoon each- turmeric and salt. Stir in another cup of water. Close the lid and simmer on medium-low heat. While kura is cooking, quickly prepare Ragi kudumulu. Take the ragi dough out onto a plate. Knead and divide into small, about key lime-sized rounds. The dough came about 16 rounds for me. Take a round on your palm, and close the fingers around the round to make a fist. The shape changes to cylindrical with conical ends. Thatâ€™s what we call â€œKudumuâ€ shape in Telugu. Compared to the round shape, the kudumu shape will have more surface area exposed, and that would facilitates thorough steaming. Prepare all rounds in this way. You have to make them fast in two to three minutes. Place them one after another neatly in simmering kura. Close the lid tightly, and steam for about 15 to 20 minutes on medium-low heat. Ragi kudumulu have to be cooked properly inside. To test, take one out and cut into half. A well-steamed one has the color of red soil (erra mannu) that you see in moderate rainfall areas like Telengana, Andhra Pradesh. On taste, they should have the comforting texture of a well-chewed bubblegum. :) Sticky with unique ragi flavor. The size/volume also increases on steaming. Garnish with fresh coriander leaves and lime juice. Serve hot. Until serving time, cover the skillet with tight lid and keep the kura hot on low heat. How to serve: Place four ragi kudumulu in a wide bowl or plate along with vegetable or meat pieces. Pour the tomato-masala gravy around. How to eat: With fingers or spoon, take a portion of ragi kudumu with kura. Blow to cool for once or twice. Eat. Ragi flour has gummy properties and it would stick to the mouth roof. So don’t chew on the kudumu, just swallow. The masala gravy and vegetables or meat pieces, together they make a memorable meal experience. Why: Ragi is rich in Iron, minerals and protein, gluten-free, and is known for it’s health benefits. Ragi is cultivated from ancient times in many parts of India, and in fact the name Ragi is a Sanskrit word. So, Ragi consumption means nourishment to the body and also nourishing the traditional agricultural practices. Meal today and My Contribution to Mathy’s Garlic-Jihva Event. Ragi flour is available in most Indian grocery shops. Kudumu is singular and kudumulu is plural in Telugu language. Do you have this type of tradition where kudumulu or dumplings are steam-cooked in the stew itself? Potato puffs also known as curry puffs are one of the most popular items sold at Indian bakeries. Flaky wrap and spicy filling, people love them a lot. They are prepared with puff pastry like dough, and the filling varies. Common is potato, then there is egg and also chicken etc. Baked to golden perfection, hot from the oven, with coffee or tea, the chat and the laughs - I can see going back to college days. 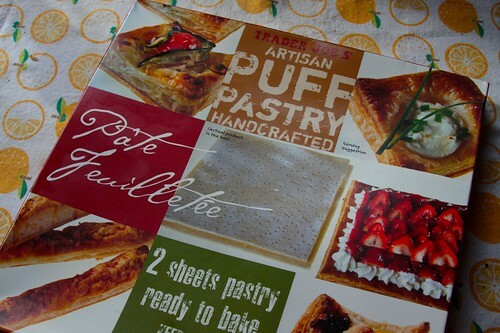 Thanks to ready availability of good quality puff pastry, I can bake them at home easily. My version has all the flavor and eye appeal of bakery-style curry puffs, but they are smaller in size, hence more figure and finger friendly. For filling, I prepared potato curry with red potatoes. Boiled the potatoes to tender, and then peeled the skins, cut them to tiny pieces. SautÃ©ed them with tadka seasoning, onions and peas. Added salt, chilli and turmeric to taste. The potato filling was ready. For wrapping, I used the frozen puff pastry from Trader Joe’s. There are four sheets in one pack, and they were stuck to each other. So I cut them to three strips. Rolled each one to a thin rectangle. Divided again into eight equal portions. Placed a tablespoon of potato curry in each portion, did a roll, and baked them at 350°F for about 15 minutes to golden-brown. Here is the whole process in images. Puff pastry strip rolled into a thin rectangle and divided into eight equal portions. Then wrapped around the potato curry filling. (I’ve refrigerated the dough after rolling and after wrapping for about two minutes each time, to firm-up the dough and for sticky free results. Puff pastry doesn’t like heat. Refrigerate frequently and work with firm dough for sticky-free results. Like many folks these days, I have gotten away from baking bread often, but when I do, I would go for a dense, deep flavored bread full of fruit and nuts. Prune-pecan bread is one such bread. The recipe is inspired by the one I have read at war-time recipe booklet, circa 1910-20. 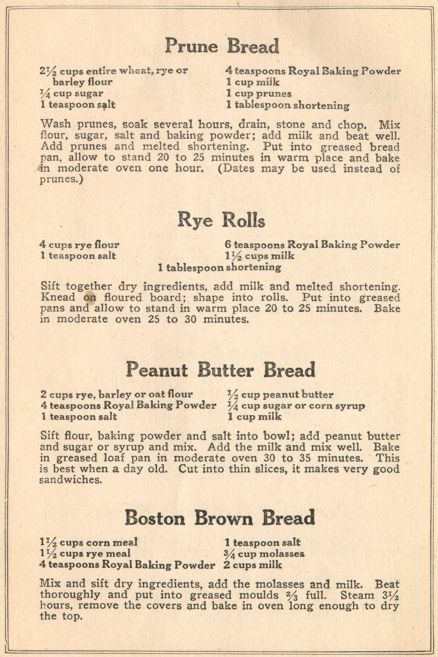 You can see how conservative the recipe methods were at that time. No dumping of butter and eggs for everything, like they are nothing. People were rational during those days, it seems. Also, if you read the bread bibles of present day, you would think that ‘yeast is west’. It doesn’t have to be yeast all the time, and also bread-baking without yeast matches our chapati/roti cookery style. The original recipe has 4 teaspoons of baking powder, and it sounded too much to me, so I reduced the amount to one teaspoon, and mixed the dough with buttermilk. I purchased prunes, and I already have pecans and maple syrup at home. So I decided to include those ingredients along with prunes in my recipe. The bread may not look much, but it baked up great. The juicy, moist prunes, pecans and sweet maple syrup - it’s a good kind of bread. Take the barley and all-purpose flour in a big vessel. Add baking powder. Mix. Then add the prunes, pecans, maple syrup and ghee. Gradually adding buttermilk and warm water, whisk the ingredients to combine well. Pour the batter into bread pans. Cover the pans, and keep them in a warm place for about 30 minutes. Bake at 350 F for about 45 minutes, until a toothpick inserted into the bread comes out clean. Remove and cool it for about ten minutes. Run a knife around the rim of the pan to loosen the cake and invert onto a plate. Let it cool completely. Slice and serve with your favorite jam. These habit-forming sweet banana biscuits are easy to like. I surely can say that judging from the speed at which they get gobbled up every time I make them. The recipe is based on traditional Mangalore buns. Honeyed fragrance and creamy sweetness of banana could be felt and tasted, but it would not over-power the taste buds. A good and fun snack. Blend or mash banana and sugar to smooth consistency. Add to flour. Stir in cardamom and ghee. Mix to prepare tight dough. Rest for an hour. Divide the dough to lemon sized rounds and roll out each round to a thin circle. Cut to squares like shown in the image and deep-fry to gold. Regular chapati style pressing yields soft and chewy biscuits. For crispy and crunchy biscuits, press out the dough to thin. If you’d like to take it up a notch, dip the fried biscuits in sugar syrup like we do in jilebi or roll them in sugar like beignets. Made with special wheat flour called atta, rolled out to paper-thin circles and puffed to peach colored balloons, delicate and delectable puris means pure pleasure guaranteed. I usually prepare puris at home for friends get-togethers or when I host a party, but very rarely for us. It has to be a special occasion and today is one such day for us. To celebrate, a party call was sent out by Anita of A Mad Tea Party, the fabulous food blogger from Delhi. I wanted to join. So, here I am at the party with Nandyala-style puri treats. Gently knead the dough for a minute or two to remove the creases and until the surface is smooth. Cover the bowl with a plate and set aside for about 30 minutes. Then, follow the puri pictorial. Roll out the Puri dough to a round coil about the width of baby’s fist. Divide the dough to equal portions and shape each portion to a round. Place the kadai on stovetop. Add and heat the peanut oil to frying hot(375 F). Carefully slip the pressed puri round into hot oil. Gently push-down once with slotted spoon, and let the hot oil work its magic. We want not red nor angry-red but peach color for Puri. Remove to a paper covered plate. Serve hot with a curry, dal or chutney. This one is easy to prepare and puts the bell peppers in season to good use. Slice the peppers, (green, red or yellow) length-wise into thin strips. Do pan-saute and season with spices and besan. The subtle sweet flavor of besan (gram flour) complements the bell peppers greatly. Lovely to look at, even lovelier to consume, bell peppers with besan also known as Bell Pepper Zunka in Marathi, is an ideal dish for bell pepper fans. In a wide skillet, heat the oil until a curry leaf tossed in it sizzles. Keep the heat to medium. Add the curry leaves and toast to pale brown. Toss in cumin and mustard seeds. When seeds start to splutter, add the bell peppers. Stir-fry few minutes, until bell peppers become crisp and fork-tender. Sprinkle the besan, chilli powder, salt and turmeric. Mix. SautÃ©, stirring often. Do not cover the skillet at this stage. When the pale yellow besan starts to get pale brown, time to turn off the heat. Serve the bell pepper Zunka hot. Makes a tasty meal when eaten with chapati or rice and dal combination. Jackfruit and bananas may seem an unlikely combination, but the soothing sweetness of banana is the perfect antidote to the tingly-ness effect of jackfruit. Also, baking a coffee cake is a good way to use the surfeit of super-yield fresh jackfruit or leftover canned fruit. This is an easy as well as delicious dessert that tastes much naughtier than it really looks. 1. In a bowl, take 2 cups of all-purpose flour, add a cup each - finely chopped jackfruit, cashews and golden raisins. Stir in a teaspoon of baking soda, baking powder and cardamom powder. Also half cup of sugar. Mix. 2. Mash two ripe bananas to smooth paste and add to the flour mixture. 3. 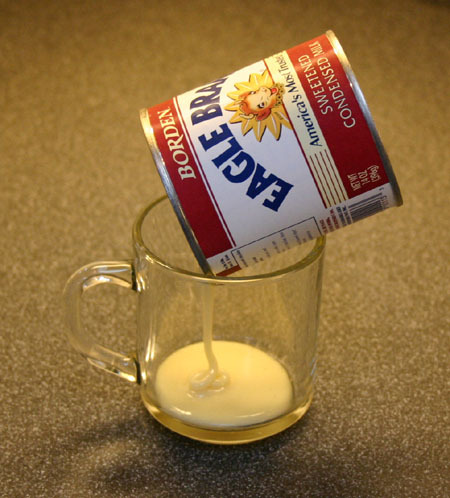 Add about quarter cup of melted ghee (or oil) and one to two cups of warm milk or water to the flour mixture. 4. Stir the ingredients to combine them thoroughly. Pour the batter into a greased cake pan. Level evenly. 5. Bake the cake in a preheated 350 F oven for about 30 to 40 minutes or until a knife inserted in the cake comes out clean. Cool to room temperature. Cut and serve. This cake is like something you see at an organic aisle of bread/cake section in a grocery shop. Dense, full of fruit and nut, moist but not at all crumbly. You can find jackfruit - fresh, frozen and canned at Asian grocery shops. The classic combination of honey, dates and walnuts is used for this light, moist cake. This is my first ever cake of this type that I baked. Delicious and nutritious, Honey-date-walnut cake is one of my favorite cakes. Dates and Honey: Finely chop dates into thin rings. Take them in a cup and add honey. Keep the dates soaked in honey for about 30 minutes. This is done to soften and further sweeten the dates. The dates that I used in this recipe are Deglet Noor, mildly sweet Tunisian variety. Extremely sweet and soft Medjool type does not need the honey/soaking part. Eggs: Break eggs into a cup and beat with a spoon. (I removed yellows, my preference.) Sometimes I skip the eggs totally and would add a mashed, ripe banana in its place. This works too. Sift and add flour to a big vessel. Stir in sugar, baking powder, soda and cardamom powder. Mix. Add butter, milk and eggs. Also walnuts and dates along with the honey they are soaked in. Combine all thoroughly. If the batter is too tight, adjust the consistency by adding little bit more milk. Pour the mixture into a cake pan. level it evenly. Preheat the oven to 350 F. Place the cake pan in the bottom rack for the first 15 minutes, and then move the pan to the top rack. Bake for about a total 30 minutes, until the top of the cake turns to light honey color and when a knife inserted into the cake comes out clean. Remove the cake from oven. Let cool. Slice and enjoy! Vijay’s classmate and friend became a proud parent of a cutest baby boy, couple of days ago. They came home from hospital yesterday and this is the care package we sent today for them. Chapatis, aloo chole, idly, peanut chutney and honey-date-walnut cake. Honey tends to thicken during winter time. Microwaving for couple of seconds usually lightens the honey. Brinjals for Dummies series or 101 on brinjal curries should start with this Besan Baingan, I think. Sauteed brinjals coated with besan and spice mix make an excellent, easy to prepare curry. The ingredients list is not much and preparation time is minimum. Can be cooked in maximum 10 to 15 minutes, when you’ve all the ingredients ready to go. A must try for brinjal fans. -¼ cup of roasted cashews. Grind together - besan, dried red chillies, sugar and cumin to fine powder in a spice mill or mixie. After removing the stems and sepals of brinjals, slice them into thin pieces lengthwise and drop them in salted water in a bowl (like shown above). In a wide skillet, heat a tablespoon of peanut oil. Add and toast curry leaves and mustard seeds. Remove brinjal pieces from water and add them directly to the skillet. Be ready for sizzling noise. Also add grated ginger. On medium-high heat, saute, turning often with a perforated ladle, so that they fry uniformly on both sides to a gold coloured tender pieces. Just before turning off the heat, stir in besan-spice mix along with salt and turmeric. Mix and fry for few more minutes until the sweet smell of besan permeates the kitchen. Sprinkle roasted cashews or nuts of your liking (watermelon/pumpkin/sunflower seeds - they all taste good with brinjal). Remove and serve hot with rice or with chapatis. I think you’d be blown away by how good this curry tastes. So simple to make and a sure bet for a special meal. For this recipe the small round purple or green brinjals are best, being sweeter than any other varieties. If you want, instead of directly adding, first roast the besan-spice mix slowly on another skillet while brinjals are cooking and then sprinkle this fragrant, warm besan-spice mix at the end. Experienced cooks would curl up into hardball position. The kitchen novice can crack up. Watching sugar melting for sweets preparation can do that to the cooks. Like Linda mentioned, the softball, the hardball, the numerous stages of sugar syrup have the effect of melting one’s brains. :) Toffees and Burfis turned to payasams, to hard bricks, to concrete mixture - I have seen them all. One recipe that has always come to my rescue during my beginner days of cooking was Besan-coconut burfi. Also known as 7-cup burfi. 7 cups refer to the ingredients’ quantity, which is easy to remember. There is no skill involved to prepare this sweet. Only thing one need is a steel heart. Coconut, sugar and ghee are liberally used and the sweet also liberates one from fear of burfi making. A true delight and Kitchen newbies favorite, I always remember this sweet fondly as 7-cup magic. Wide, sturdy pot, big slotted sturdy spoon and a steel heart. Place a wide, sturdy pot on stove. Bring to warm on medium-low heat. Add besan and fry it constantly stirring to copper-toned gold jewelry color. Add the fresh grated coconut to the besan and fry it for about 5 to 10 minutes again on medium-low heat, until it leaves the raw smell. Slowly stir in the powdered sugar and cardamom powder. Mix thoroughly and cook, constantly adding ghee. Until the whole thing comes together to a porous, firm mass. Takes about 20-30 minutes on medium-low heat. Remove to a ghee-coated plate/pan. Press evenly and cut diamond shaped pieces. Or shape the mixture to round laddus, once the mixture is cooled enough to touch. Enjoy the delicious taste of 7-cup burfi. Many thanks to lovely Kay for hosting this month’s Jihva. Being a first time mother of two month old baby girl, she could have easily said “no” to very demanding and time consuming work of event hosting, which she booked 7 months ago. I asked her to see if she’d take a break, but she insisted to do it. I restect people who keep their word without missing a beat. I also commend Kay for her dedication towards Jihva and also all the participants for their enthusiastic support with interesting entries. To make this event hosting as smooth as possible for Kay, I would greatly appreciate if you could send your entries with the details she requested (blog name, entry URL and images etc), so that she could do the recap of the event in short time. Thank you. Kay also requested for new jaggery recipes. So here is one - Jaggery-Coconut puffs. Homemade puff pastry and sweet jaggery coconut filling. I borrowed the recipe idea from Fethiye of Yogurt land. I have changed the recipe little bit. Instead of egg in dough, I have added mashed ripe banana as I was preparing the puffs for naivedyam (puja offering) and also used ghee. Preparation was easy, and the end result was smooth silky puffs with sweet filling. We liked them a lot and they are definitely going to join my cherished recipe list. Thanks Fethiye for a great recipe idea, thanks Kay for inspiring me to experiment. I’ve prepared two different fillings. 1: jaggery-coconut lauju: Follow coconut burfi recipe. Replace sugar with jaggery and stop cooking before the sweet reaches burfi stage. I have also added sesame seeds to the lauju. 2: jaggery-chana dal purnam : like we do for Bhakshalu (bobbatlu, puran poli, holige). Recipe is here. Small quantity, just half cup each is enough and can be done in 30 minutes with some preplanning. Take them all in a bowl and mix thoroughly. Prepare the dough like we do for chapatis, sprinkling warm water if necessary. Without giving any rest period, divide the dough into 8 rounds. Roll out small salad plate shaped rounds. Apply general coating of ghee or melted butter to each one, on one side and layer them. (See the photo below). Roll again these 8 rounds into one big dinner plate shaped circle of about 10 inches in diameter and ¼ inch thick. The size is really big, and I had to roll out on my kitchen countertop. Divide and cut this circle into 12 to 14 triangles of equal size. Top the wide edge of each portion with 1 tablespoon of filling. Start rolling from the wide edge down to the tip. Curve in tips to close the gap on the sides. Now the rolling part is over, give the dough a break and allow to rest for about 15 minutes so that yeast can work its magic. Arrange them nearly in rows on a greased baking sheet, leaving a little space between pieces. Bake in a preheated oven at 350 F for about 15 to 20 minutes or until golden brown. Hot Jaggery-Coconut Puffs for Birthday Girl Kay and my entry to JFI-Jaggery.